Apple’s special event in Brooklyn on Tuesday brought the introduction of two new Macs, as well as new iPad Pro models with features such as Face ID, USB-C, and more. If you missed the event, 9to5Mac’s Jeff Benjamin put together an excellent recap in under 9 minutes. Read on as we give a clear picture of what the 2018 iPad lineup looks like for the holiday season, and compare iPad models. 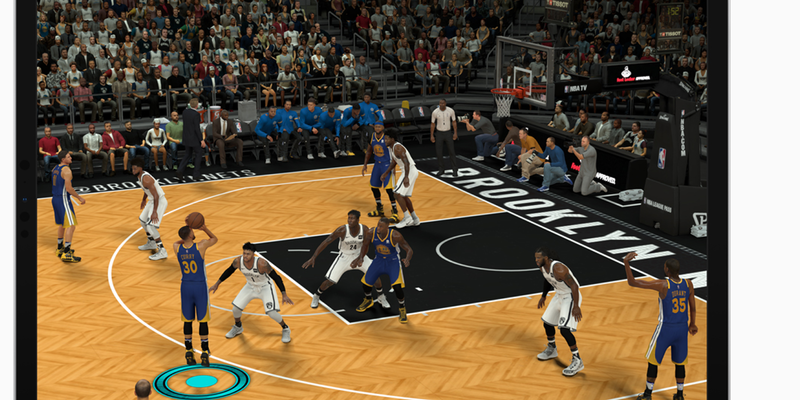 We’re gonna start with the main event of the show first, and that’s assuredly the Retina display. Color accuracy and ProMotion features have remained the same between last year’s iPad Pro and the new 11-inch 12.9-inch models. If an iPad Pro is on your horizon, that means you won’t miss out on ultra-smooth scrolling with whichever version you select. As for iPad and iPad mini 4, neither one features the faster 120Hz capacitive touch refresh rate, nor will you have the color warming effects of True Tone. When it comes to resolution however, out of the five iPad models Apple sells, the iPad mini 4 clocks in with the highest PPI. Its 7.9 inch display features 326PPI at a 2048‑by‑1536 resolution. The rest of the iPad lineup all feature 264PPI. Here’s a breakdown of each model’s size, resolution, and any bonus features. Bonus: Starts from just $329, $309 with education pricing. As for the Wide color display (P3) display that’s exclusively featured on iPad Pro models, it essentially boils down to a display aiming to provide greater, more accurate color reproductions. Apple describes it as offering “25% greater color saturation than the sRGB displays on previous iPads”. This means that for things like photography where color accuracy is important, the iPad Pro is the way to go. As for the difference between the standard Retina display versus the new Liquid Retina displays featured on the 2018 iPad Pro models, the Liquid Retina display is the same technology featured on the new iPhone XR. If you already know what the new, curved corner LCD XR display looks like, then you have an idea of how the new iPad Pro displays will look and feel. We can’t talk about these displays without talking about the Apple Pencil, which is becoming even more important to the iPad Pro branding with this year’s revision. Unfortunately, no Pencil supports any sort of cross-compatibility. You can’t use an original Apple Pencil on the new 11-inch or 12.9-inch models, nor will the new Apple Pencil work on iPad or 10.5-inch iPad Pro. The new Apple Pencil has an entirely different charging mechanism than its predecessor. The original Apple Pencil was charged by removing its cap and plugging the entire body into the iPad’s Lightning port, meaning one wrong move and you’ve got a Lightning plug stuck in your iPad port with a broken Apple Pencil. The new Apple Pencil, however, features notable improvements to charging thanks to a new magnetic attachment between it and the iPad Pro itself. 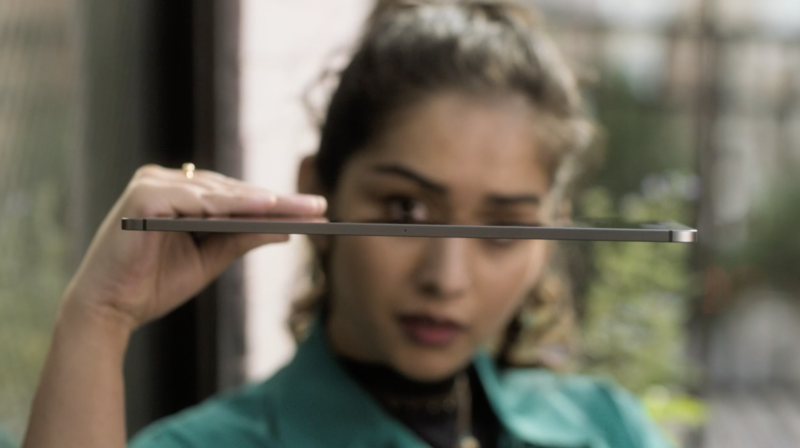 The new Apple Pencil features one flat side, which is designed to magnetically charge and attach to the side of the new 11- and 12.9-inch iPad Pros. As for features besides charging methods, the new Apple Pencil has new gesture controls. Now, a double tap on the side of the Pencil will change brush strokes, or switch you to an eraser. These gestures are customizable, so they’ll do as you desire. This makes the new Apple Pencil perfect for artists who frequently use the iPad as a drawing tool. It also comes with a new matte finish and Apple is also offering free custom engraving for the first time. In terms of power, any iPad you buy will be fast for fundamental tasks. Web-browsing, emailing, and playing music. The real test for speed on these things comes when you push them to their limits. 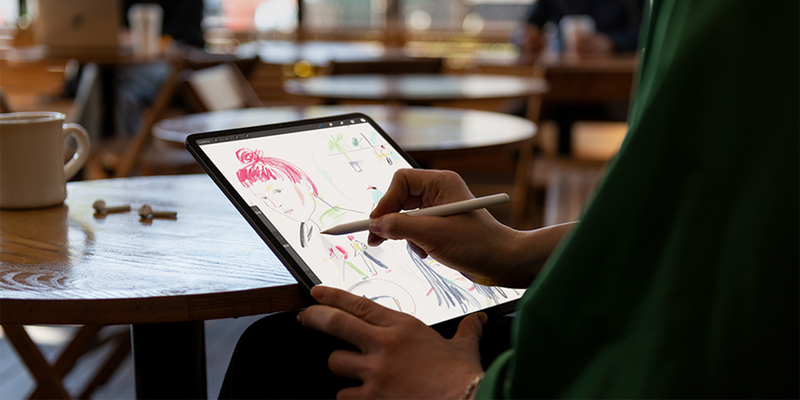 First, if you’re an artist or designer who frequents CPU intensive programs such as Pixelmator or Photoshop (which is coming in its entire, full form in 2019 to iPad), the A12X Bionic chip on the 2018 iPad Pro models will be your best bet. These chips are so powerful with their 7-core GPUs that Apple claims they provide Xbox One S-level graphics for certain games. If you think you’re going to be using the iPad as a portable gaming device more often than not, a model with an A12X will yield the most graphically impressive results. Thanks to the new A12X processor, the 2018 iPad Pros are also the first iPads to feature Apple’s Neural Engine. This dedicated hardware chip is devoted to AI and Siri processes. By offloading the task from the CPU, the device commands better performance and battery life. While this won’t result in a massive day-to-day use difference, it does provide a certain amount of future-proofing. The worst camera in the iPad lineup is unsurprisingly the most outdated, the iPad mini 4. Clocking in at 8MP, the mini 4 and the $329 iPad share almost identical cameras. While the iPad features the same 8MP rear shooter as the iPad mini, it can at least take Live Photos. As for the iPad Pro models, all 2017 & 2018 versions feature a ƒ/1.8 aperture 12MP sensor. However, there are a few minor differences here worth mentioning. 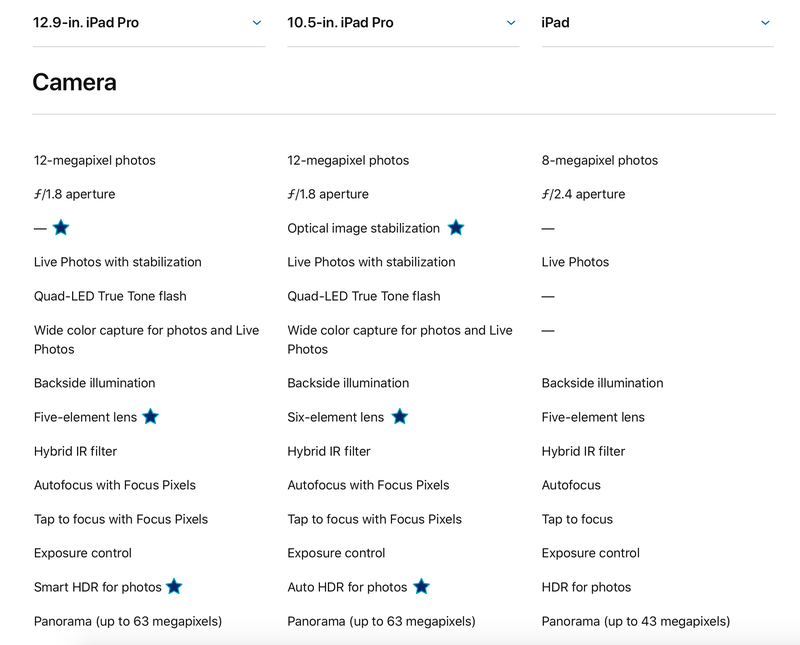 Take a look at where I’ve added the blue stars when comparing the 2018 iPad Pro to the 2017 Pro and the standard $329 iPad. If shooting photos is of top concern for you, the $329 iPad won’t cut it — it simply lacks too many critical features. While at a quick glance the 2017 & 2018 iPad Pro seem generally the same, there are a few key factors which will result in the 2018 yielding improved results. The primary difference is the lack of optical image stabilization (OIS) on the 2018 iPad Pros. On the other hand, the new iPad Pros gained the Smart HDR feature that came with the 2018 iPhone lineup. As noted by the iPhone XS and XR launch, Apple has not been shy in following the Google Pixel method of using software to better tune photos shot on iOS devices. “Smart HDR” is just one way Apple has sought to achieve that. The feature greatly reduces the issues typically caused by bright lights in photos, such as the sun. As for why Apple removed OIS on the new iPad Pros, it’s likely that the new 5.9mm thin frame simply couldn’t support the hardware. Naturally, the smallest and lightest iPad is the mini 4. At just 299 grams, this is your best bet for maximum portability. If you compare iPad models for portability however, you’ll quickly find that they’re all excellent travel companions. With the standard iPad being the thickest at just 7.5mm and the 2018 Pros measuring in at a mere 5.9mm, you’ll have no issue sliding any iPad into any thin sleeve in your bag. As for handling and comfort, much of it depends on personal preference. 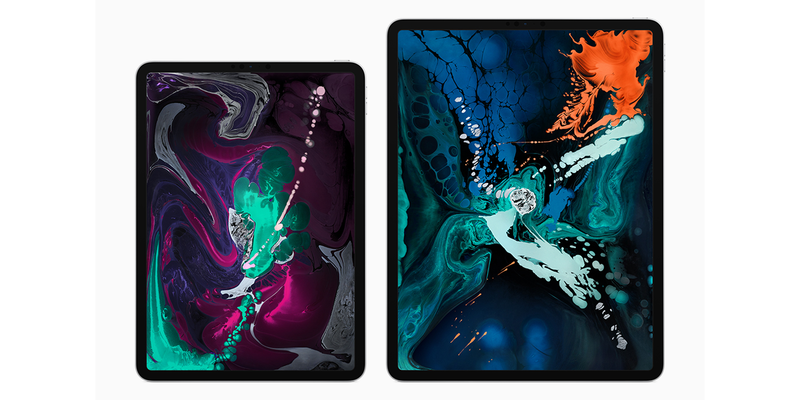 However, it’s worth noting the design differences between the 2018 iPad Pros versus the other models. The new iPad Pros have flat edges, with a square flat back as well. This design is most akin to the iPhone 5 and even the original iPad, and looks significantly more industrial than before. Our own Chance Miller detailed the pricing of all the different iPad models, so I won’t rehash that too extensively. Just know the current iPad lineup varies in cost greatly — from just $329 for the 9.7-inch iPad ($309 with edu pricing), to $1899 for a maxed out 12.9 inch iPad Pro 1TB with cellular. Also note that this is before you factor in the cost of the “essential” accessories, such as the new $129 Apple Pencil, or the $199 Smart Keyboard Folio for the 12.9-inch iPad Pro. What do you think of the current state of the iPad lineup as we head into the holiday season? Take our poll, or share your thoughts in comments below. You are reading an article on the Looking to compare iPad models? Here’s how the 2018 lineup stacks up. All materials on the site Gadgets F, а также и статья Looking to compare iPad models? Here’s how the 2018 lineup stacks up - written for the purpose of information enrichment and we are happy if you like our magazine.